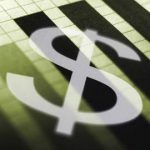 Fairfax, Virginia-based government services contractor ManTech International (NASDAQ: MANT) exceeded the consensus analyst estimate for first quarter earnings and revenue, while Arlington-headquartered CACI International (NYSE: CACI) missed Wall Street’s sales outlook for its fiscal third quarter. Both companies are listed in Executive Mosaic’s GovCon Index of 30 publicly-traded government contractor stocks. ManTech reported January-March earnings at 35 cents per share to beat analyst forecasts by 4 cents at a profit of $13.2 million, which registers a 12.33-percent increase year-over-year. Third quarter sales totaled $390.66 million versus Wall Street’s forecast of $386.35 million and show 5.49 percent growth from the prior year period. ManTech held to its full-year guidance of earnings per share in the $1.38-to-$1.47 range and revenue of $1.57 billion-to-$1.67 billion. As of Wednesday’s close, shares in ManTech are up 8.4 percent from the year’s start and 2.37 percent over 12 months. CACI, also a government services contractor and on a July-June fiscal calendar, said third quarter earnings came in at $1.38 per share to beat analyst expectations by 10 cents. That figure includes costs related to the integration of the national security solutions business it purchased from L-3 Communications (NYSE: LLL) in February for $550 million. Excluding those costs, CACI reported $1.93 earnings per share on a non-GAAP basis. Net income at CACI rose 17.1 percent from the prior year period to $34.03 million. Revenue for the January-March period increased 19.5 percent year-over-year to $977.27 million on approximately $171.9 million contributions from NSS but sales fell short of the approximate $1.01 billion Wall Street expected CACI to report. CACI lowered the top end of its fiscal 2016 earnings guidance to $5.65 per share with the minimum unchanged at $5.37 EPS, while the maximum revenue forecast was cut to $3.8 billion and low end left at $3.7 billion. As of Wednesday’s close, shares in CACI are up 18.93 percent from the year’s start and 26.03 percent over 12 months.